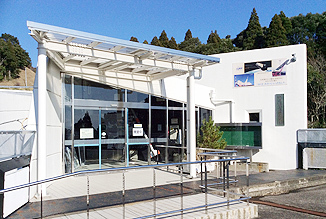 The Uchinoura Space Center is a launch and satellite-tracking facility operated by the Office of Space Flight and Operations. Sounding rockets and scientific satellites are launched and tracked here and their data received. Buildings efficiently located on the terraces of flattened hilltops make this space center unique. 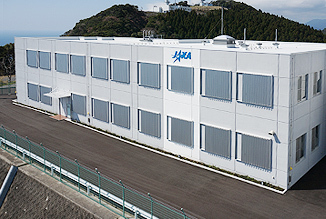 Fifteen ISAS staff (as of 2007) work under the Director of the Center and five to ten engineers from private enterprises are stationed here for satellite data acquisition. When a sounding rocket or a scientific satellite is launched, an experiment team of researchers and engineers from ISAS, the Office of Space Flight and Operations, and private enterprises is dispatched to this center. On a scientific satellite launch, the mission team consists of more than 300 people. 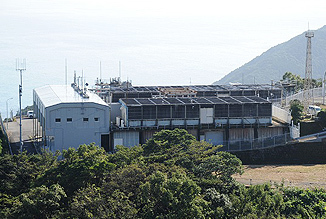 The M Center is a large rocket launch plateau, sits on a 25,000 square meters terrace at an altitude of 210m. It comprises the M Rocket Assembly and Launch System, the M Rocket Assembly Building, and Cleanrooms for satellite operations. M Rocket Assembly and Launch System is mainly consist from “Launcher ” and “Rocket Assembly Tower”. Epsilon Launch Vehicle is launched from here. The KS Center is a sounding rocket launch plateau, sits on a 7,000 square meters terrace at an altitude of 276m. KS Center has the launch pad for the SS-520, S-520 and S-310 sounding rockets. The control center's launch control/command and ignition control desks manage the firing sequence of sounding rockets launched from KS Center. 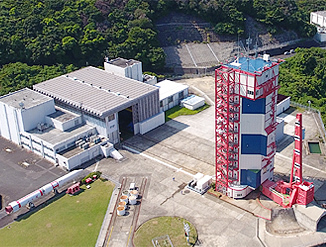 It is also equipped with centrally controlled, radar computation systems to control the flight path and flight safety of rockets. 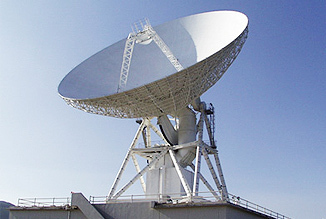 The satellite telemeter center receives radio signals from satellites. 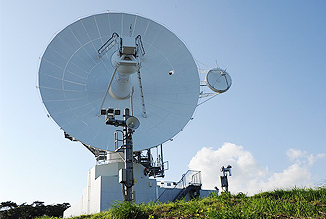 Satellite signals are received and demodulated at the satellite telemeter center and are then sent via ground network to the large computer memory in Sagamihara Campus. The center can also transmit commands to satellites. 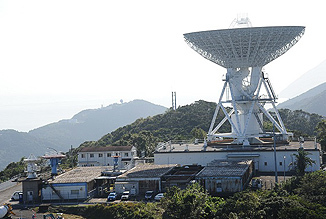 The satellite telemeter center is equipped with 34m and 20m parabolic antennas capable of tracking both deep- space explorers and earth-orbiting satellites. 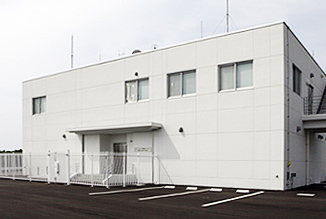 In Miyabaru Area, there is the Radar Telemeter Center for rocket-tracking, with 2 antennas. 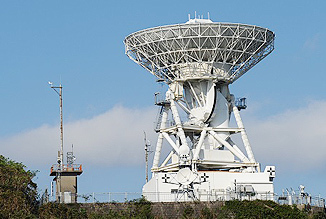 One is 7mφ Miyabaru Radar, and the other is 11mφ Miyabaru Telemeter Antenna. The precision radar's functions include attitude-reference axis correction, radio guidance and emergency-destruct command for tracked rockets. On the highest terrace of Uchinoura Space Center, a 20m diameter antenna tracks scientific satellites orbiting the earth to receive signals. 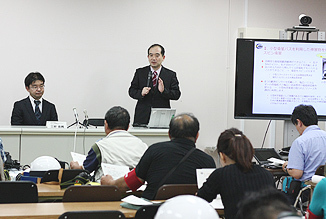 Received radio signals are transmitted via optical communication network to the satellite telemeter center. The 34m antenna is mounted on an antenna pedestal containing a control room and an equipment room for various devices such as transceivers. The antenna itself weighs a total of 820 tons to withstand the direct brunt of typhoons with winds gusting to a maximum of 90m/sec. Despite its weight, the 34m antenna enables quick operation and is one of the world's highest performance antennas. 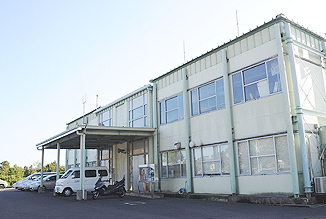 General administration work and facility maintenance for Uchinoura Space Center are conducted by the staff in this building. In its large conference room, the whole staff meets during the early launch stages of sounding rockets or scientific satellites. There is a press conference room. Press conferences will be held before and after the launch of sounding rockets and Epsilon rockets. 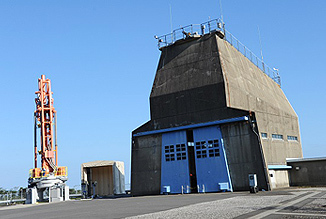 At the ECC, performing the launch control of Epsilon Launch Vehicle and satellite control, monitoring of the launch site and the sea, do the work necessary to launch such as weather observation. At the ESC, staff member work for the launch of Epsilon Launch Vehicle including rocket system, satellite system, general affairs, and planning. The museum exhibits prototyping and testing models and of rockets, scientific satellites, scientific instruments, a model of M Rocket Assembly Building, etc..
On February 11, 1970, Japan launched its first artificial satellite OHSUMI, becoming the fourth nation - following the U.S.A., USSR and France - to ever launch a satellite on its own efforts. The monument in praise of those who led the OHSUMI launch to success over many hardships is still an encouragement to us. 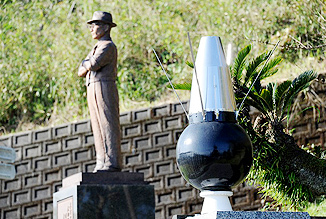 Statue of Dr. Itokawa, father of the Japanese space development, was built on Nov 11, 2013.